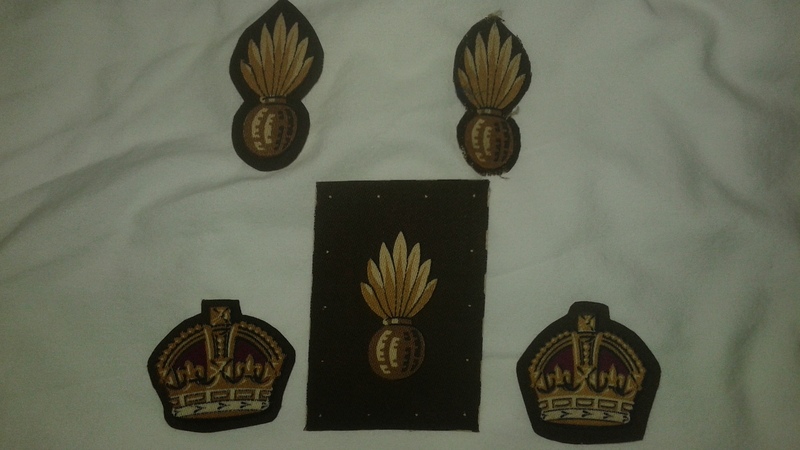 Excellent condition british canvas insignia lot. Consists of two rank crowns and three flaming balls, one uncut. Nice little grouping for the insignia collector.